You Are Here: Home » High Index Lenses » Why Should you get High Index Lenses? 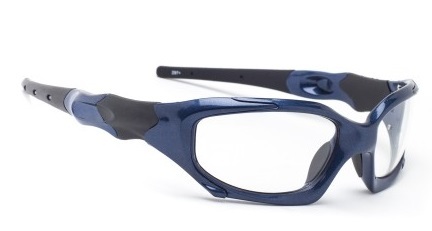 High index lenses provide unparalleled visual acuity, comfort, and attractiveness. Their compatibility with an extensive array of frame styles and their ultra-thin design makes them a favorite choice among people seeking aesthetically pleasing vision correction. Below are the top ten reasons why you should get high index lenses. What factors led to the development of high index lenses? High index lenses were introduced to satisfy consumer demand for a thinner, lighter-weight lens. Additionally, chemists were seeking a means of bending light more efficiently than pre-existing lenses. In a nutshell, high index lenses meet the industry demand for an ultra-thin, powerful lens that meets consumers’ desire for aesthetically attractive eyewear. Who can wear high index lenses? What are the top ten reasons why you should get high index lenses? Selecting the best eyewear for your individual needs is a process that should be undertaken with time and care. Before investing in high index lenses, you should make a list of your eye care goals and needs, and be sure to evaluate them alongside the advantages that high index lenses offer. Below are ten of the most compelling reasons why you should invest in high index lenses. Few eyewear experts would challenge the notion that high index lenses represent the latest in cutting-edge eye care technology. From their ultra-thin design to their stellar design properties, high index lenses offer an unprecedented level of visual acuity and aesthetic beauty. Compatibility with current frame styles has contributed to the popularity of high index lenses. Today’s eyeglass frames are trending in a flatter direction, which calls for a flatter lens style. Additionally, high index lenses are ideal for rimless eyeglasses due to their high tensile strength. Until the advent of high index safety glasses, people who needed safety glasses with a strong prescription had few options. They often had to resort to wearing awkward, unattractive safety glasses. Now, if your employer requires you to wear safety glasses, you can choose from a wider array of options, including wraparound styles and thinner, sleeker looking glasses. 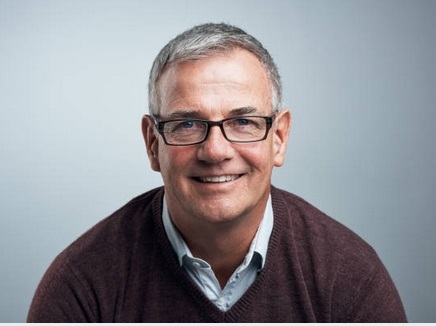 If you are in love with your eyeglass frames but your prescription is no longer meeting your needs, then high index lenses could be your perfect solution. High index lenses optimize visual clarity and can be professionally cut to fit your favorite frames, helping to improve your vision while complimenting your favorite frames. As more people discover the many benefits of high index lenses, the number of options and available features will continue to grow. 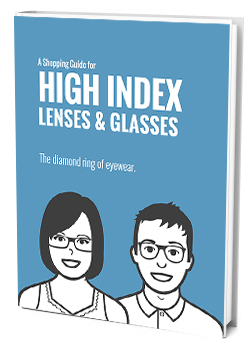 If you currently wear bifocals and are seeking improved visual acuity, high index lenses are a great choice. For instance, high index 1.67 bifocal lenses offer a half moon shape for the reading area and a flat section at the top and bottom sections of the lens. High index lenses are ideal for employees who regularly switch back and forth between driving and analyzing data. Whether you are considering standard glasses or safety glasses, high index lenses offer excellent transitional properties that allow you to seamlessly transition from seeing highway markers in the distance to viewing tiny font on a computer screen right in front of you. High index lenses reflect nearly twice as much light as plastic lenses or conventional glass. Fortunately, today’s high index lenses are available with an optional anti-reflective lens coating (AR coating). This coating minimizes reflection while allowing 99.5 percent of light to be transmitted to the eye for maximum visual acuity. If you are like many eyeglass wearers, you prefer for people to focus on you as opposed to your glasses. If are tired of hearing comments about your thick “Coke bottle-style” lenses, then high index lenses, then a pair of high index lenses is just what you need. UV protection is vital to maintaining sound ophthalmic health and preventing wrinkles that can result from squinting in the sun. High index lenses are constructed with built-in UV protection, which means that you do not need to apply a UV coating to your lenses. This aspect of high index lenses delights eyeglass wearers who do not like the yellowish tint that can appear on coated lenses. With the advent of high index lenses, you no longer have to choose between a strong prescription and your favorite tints. Today’s high index lenses are available with a variety of tints in various shades of brown and gray that can promote color perception while enhancing your appearance. The future appears to be bright for the high index lens industry. As consumer demand for high-performing, attractive eyewear continues to reach new heights, manufacturers will continue to respond by introducing cutting-edge lens technology. At the top of the list of future possibilities for the high index lens industry is the introduction of a lens that is even thinner than today’s ultra-thin lenses. What is the single best way to learn more about high index lenses? Clearly, there are many benefits to wearing high index lenses. However, every person’s eyewear needs are unique. The best way to learn how high index lenses can benefit your specific needs is to contact a highly trained eyewear professional. We invite you to contact us at 1-855-463-5185 to learn more about the many benefits of high index lenses. The eyewear experts at MyEyewear2go always welcome the opportunity to review the many reasons why you might be a top candidate for high index lenses. We look forward to serving as your trusted source for all of your eyewear needs!